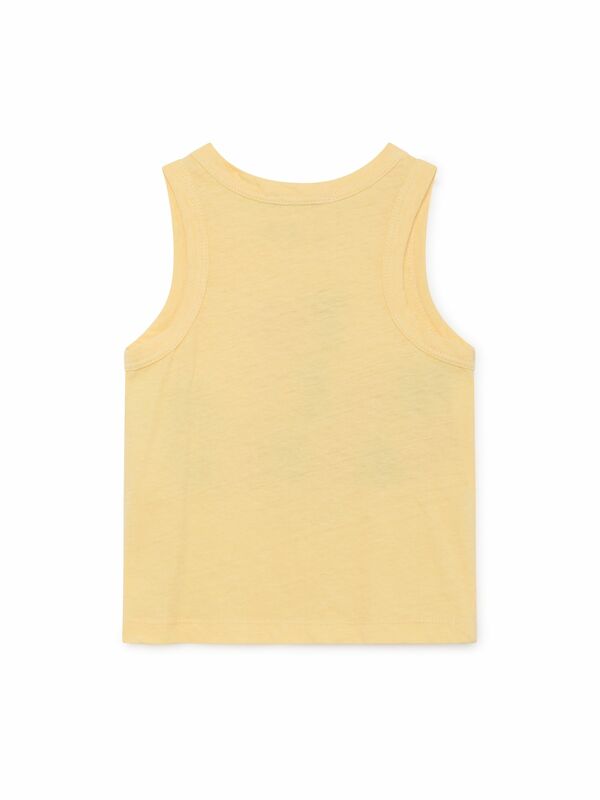 Yellow straight tank top t-shirt. 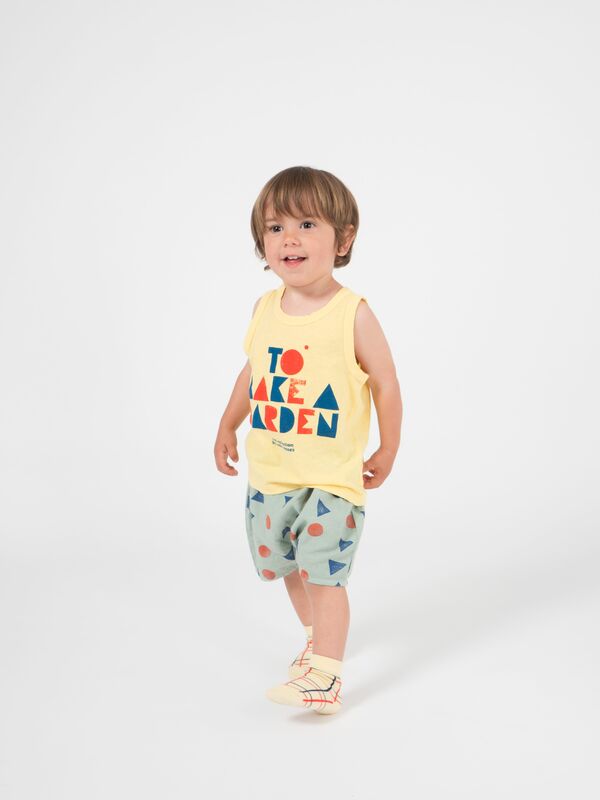 It features our "To Make a Garden" block geometrical blue and red letters printed on the front. Made locally in Spain.